train all ages on the Autism Spectrum." 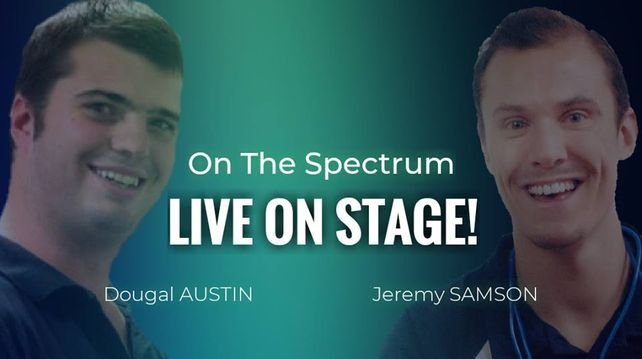 Dougal Austin ( 94.1fm Radio ) and Jeremy Samson ( Founder Time 2 Train ) bring you On The Spectrum LIVE ON STAGE - A 90 minute panel discussion about Autism , Aspergers including 3 - 4 industry experts discussing their roles and services amongst the ASD Community. Audience members will be given the opportunity to ask their questions. Come along for this exciting show and help us raise awareness about ASD. Click below on one of the following shows to download the info. 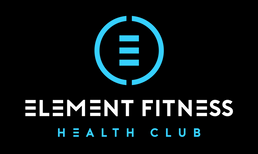 Nunawading's Element Fitness have proudly agreed to support the Time 2 Train Program for families with loved ones on the autism spectrum. 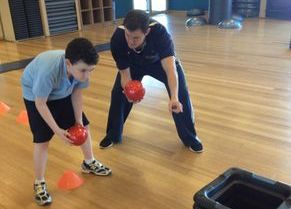 Group Fitness Manager Craig McDougall discussed with Founder Managing Director of Time 2 Train Jeremy Samson, about the importance of such a program being made available to the autism community. Sessions will operate from Monday to Friday between 3pm - 5pm. See Melbourne Locations for time slots. 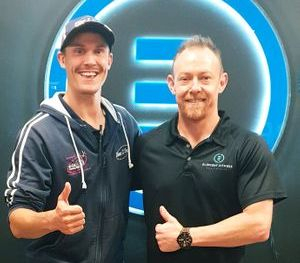 Australian personal trainer Jeremy Samson has remained a force to be reckoned with in the fitness industry. 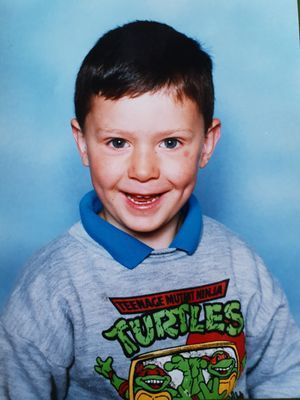 Having been diagnosed with Asperger’s Syndrome at an early age, Jeremy expressed his incredible struggles with the condition. He soon realized his gift of being able to perceive a difference in himself compared to other children. Time 2 Train 8 Week Program aims to build a basic understanding of skills towards balance, co-ordination, confidence and overall improvement in functioning. 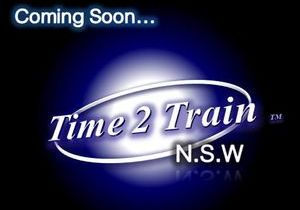 Time 2 Train 12 Week Program is the highly recommended integration package in building basic to advanced motor movements, increased confidence, better emotional management and further improvement in overall functioning. 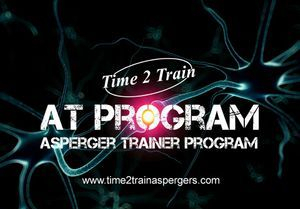 Taylor Wilson is back and bringing the Time 2 Train Aspergers Program to the beautiful Northern Beaches of Sydney. To register your interest or to learn more about Taylor, click on the register or about Taylor button below. 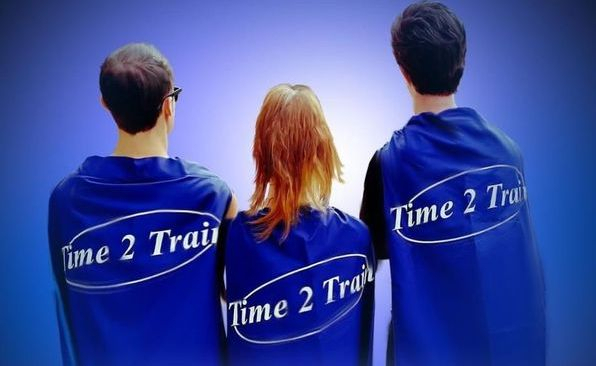 Time 2 Train non accredited workshop training courses will be available next year for individuals who are certified in the health care industry and are passionate about helping the autism community through the methods and teachings of the Time 2 Train Program. learning difficulties, to build confidence , improve co-ordination, develop social and coping skills to enable them to become valued members of our society." Disclaimer: We are not qualified psychologists or medical, therapy professionals, however we are trained and qualified in the field of health, fitness, physical exercise and personal training. You should always seek the advice of a doctor or specialist before deciding the right treatment option for you or your child. Any advice given is for educational and up to date advice, information purposes only, and should not be considered medical, legal or financial advice. Consult with a medical doctor before making any changes to you or your child's lifestyle. This is for education and information only, and not a replacement for professional diagnosis, medication, or therapy. Time 2 Train does not receive any government funding. If you would like to make a donation to continuing supporting the Time 2 Train Asperger's Program please click on the donate button. What's on in Time 2 Train? Check out Time 2 Train on Social Media Network! Care to donate to support Time 2 Train?